Peacock & Binnington are one of the premier agricultural machinery dealers in Lincolnshire and Yorkshire with branches at Brigg, Louth, Corringham and Selby. P&B have an established line up of the finest agricultural machinery to meet the demands of modern farming, from the top manufacturers in the field. P&B also sell and maintain a wide range of other top quality machinery and have a thriving market in quality. 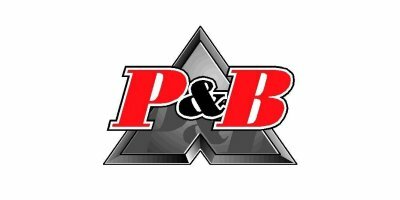 P&B have highly skilled and trained teams of service technicians and parts specialists at each branch, with the main store at Brigg stocked with £1.5 million worth of parts available for immediate delivery, to keep vital machinery working. P&B are also specialists in Fixed Installations and have completed structures from huge grain driers to stirrer systems and maintain the full range of grain drying systems. Henry Earl Cartwright Peacock was born at Hay-a-Park, Knaresborough, in 1866. After leaving school he became an apprentice in an ironmongery business inspiring Henry’s passion for all things mechanical. He become a junior partner in a Leeds ironmongery firm and subsequently moved to Hull working for the Cart and Wagon Co, and it was at this time that he met John Binnington, a local businessman. The two men had similar attitudes to work and decided that the future lay in working for themselves. They opened in Hull at 11-15 West Street, in 1894, as agricultural engineers and implement agents. With Henry Peacock’s engineering experience and foresight, and John Binnington’s financial backing, the fledgling firm established itself and was soon looking to expand. Two years later, Henry Peacock visited Brigg market and realised the even greater potential in Lincolnshire and opened up a new depot at the Old Foundry, where the company still operates from today. Henry believed that it paid to advertise so he made himself more conspicuous as “the man in the half-crown hat”, that he used to wear to markets and shows, to make himself stand out in the crowd. The firm first appeared at the Lincolnshire Show in 1898, and by 1900 they were exhibiting at Smithfield and the Royal Show. One of the first agencies Henry managed to secure for the new business, was the famous Ipswich firm of Ransomes, Sims and Jeffries Ltd. But Henry managed to persuade them to make special modifications to their ploughs to meet the different requirements of his customers. On New Years Eve 1921, John Binnington retired and the next day, Henry’s eldest son, Allen Peacock, joined the firm. In 1923, Henry decided he had seen enough of the Humber Ferry and sold his interest in the Hull business and expansion in Lincolnshire soon followed with a flourishing branch established at Laceby in 1929. Peacock & Binnington became a limited company in 1937, but Henry, the first Managing Director, died before it’s first AGM. He was replaced by Allen, who remained at the company until his death in 1985. In 1952 P&B opened a third branch in Market Rasen and it was redeveloped to provide purpose built facilities in 1975. Brigg was also expanding at this time with a combine repair shop added in 1958, and in 1968 there was more major rebuilding, with a new parts store, repair and assembly shop and general offices. This expansion could be largely attributed to Michael Peacock, Allen’s son, who joined the company in 1957. He started in the stores followed by spells in the workshop and offices. He was then put in charge of the Laceby depot, where business increased quickly and new premises had to be built. In the late 60’s Michael took charge at Market Rasen and oversaw the developments there. Then in 1970 they took over the Louth firm of Greenacres and built up the business until it too needed new buildings in 1980. Peacock & Binnington had a long term relationship with Massey Harris and in 1958 were appointed as North Lincolnshire distributors for the newly formed Massey Ferguson Company, which continues today. Allen Peacock decided to retire from active participation in the business in 1968, though he remained a director and Michael took over as MD. Developments of new depots continued to meet their growing customer base. The branch at Corringham was opened in 1987 and a parts depot at Hatfield in 1993. However, the Laceby depot was closed in 1989, followed by the Market Rasen depot a few years later, but their customers were looked after by other branches. P&B’s commitment to Yorkshire farmers was increased with the opening of a full sales and service branch at Selby in 2007 to replace the Hatfield depot. Derek Blow, a lifelong employee at Peacock& Binnington, started as an apprentice at Laceby, became Branch Manager at Louth and ultimately Managing Director, before retiring in 2011. He was followed by the current MD, Graham Main, who took over in 2010, and is determined to maintain P&B’s sound engineering values and customer support to meet the demands of modern, large scale farming. Michael Peacock continues as Chairman and is still actively involved in the company created by his grandfather over a century ago.